Georgian farmers are founding cooperatives to better support each other. The Austrian Development Agency (ADA) is supporting them by funding alternative concepts in agriculture. Finally, the rain has come in Marneuli, a village located 40 kilometres south of the Georgian capital Tbilisi. The farmers of the cooperative Liakhvi feel relieved. They won't need to operate their 40 kilometres-long irrigation system anymore as the earth will be humid enough and they can finally start planting spring onions. Money and time will be saved. 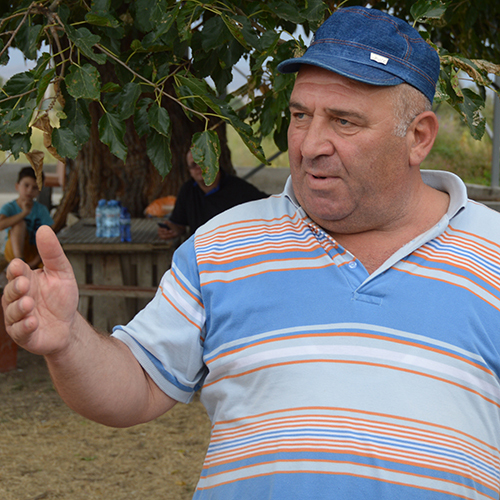 "Last summer, it didn't rain for three months", recounts farmer Mevludi Beruashvili. Until all of a sudden, it started pouring - just right before the onions were to be planted. This is already the second time that Beruashvili and five other cooperative members carry out their project "spring onion". "I first saw these vegetables at my neighbors'. The great advantage about them is that we can sell them at a higher price, as we will be able to harvest them in spring already", the farmer explains. 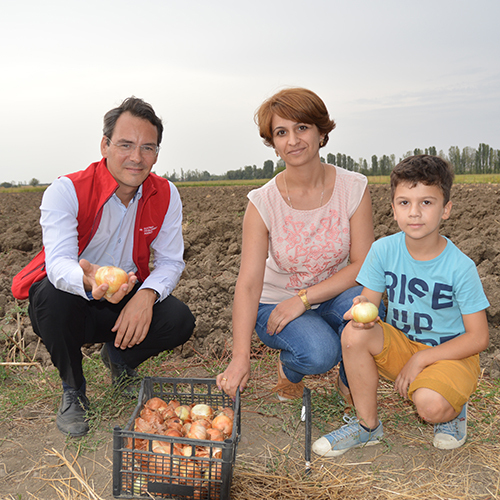 "Last year we sold 22 tons of onions within a few days", remembers Ana Romelahvili. As head of the cooperative, she is responsible for accounting. The farmers invested their profit of roughly 2.000 Euro in seedlings. "This autumn, we even managed to plant two hectares of spring onions", Mevludi Beruashvili recounts. Together with the Georgian Farmers' Association, the Austrian Development Agency supports cooperatives like Liakhvi. They receive financial subsidies, information and training. "We have an app and a service hotline that provides farmers in the region with crucial information about the weather as well as advice on cultivation and fertilizing", explains Gvatsana Meladze. He works for the Georgian Famers' Association. 13 cooperatives were selected from a pool of 150 to be supported in the cultivation of onions, carrots and potatoes as well as bee-keeping. During the war in 2008, Mevludi Beruashvili had to flee from his home in South-Ossetia. As did all the other members of his cooperative. He started all over again in Marneuli. "I used to live near Gori, where I had 50 employees", he remembers. It is highly unlikely that the internally displaced people will return home any time soon. 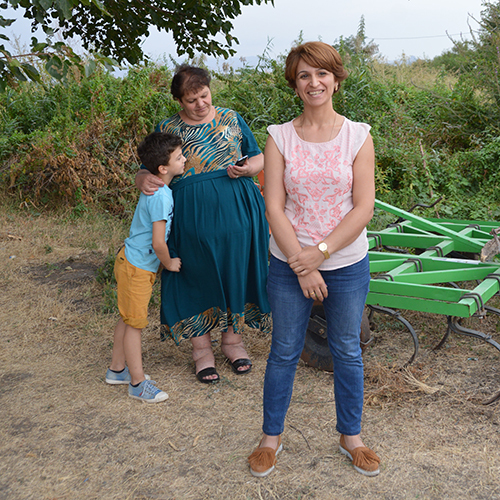 However, "people never give up hope", says Nani Chavchavadze, another member of the Liakvhi cooperative. Almost ten years ago, she bought a piece of land together with Mevludi, Ana and three other farmers. "It's easier to be working together. At the same time, it simplifies the application process for subsidies", explains Beruashvili. Step by step, things are getting better. During the four-day harvest, the cooperative employs 24 women from the village. As a consequence, the famers from South-Ossetia have already become employers - "perfectly integrated", as Ana Romelahvili proudly emphasizes. Her 8-year-old son knows his parents' homeland only from stories. When asked where he comes from, he answers "from South-Ossetia" - because hope dies last.